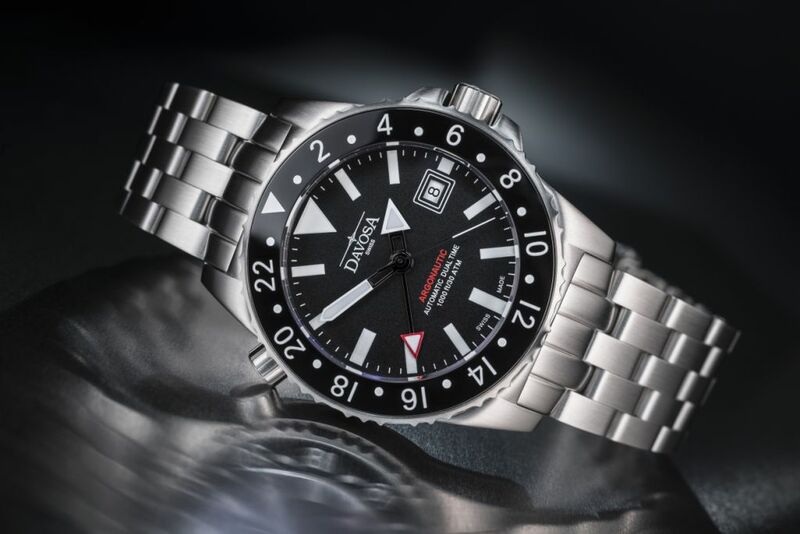 After the success of its World Traveller with GMT, Swiss watchmaker DAVOSA has equipped another watch model with a GMT function. 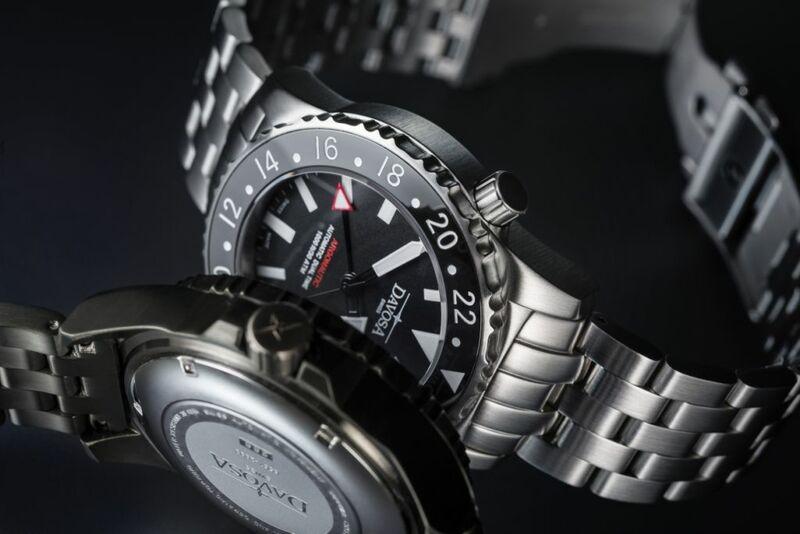 This time the choice has fallen on one of DAVOSA’s largest and most popular model ranges: In addition to the classic Argonautic Ceramic, Argonautic Chronograph and Argonautic Lumis, fans of the diver’s watch can now choose a globetrotting version of the Argonautic. 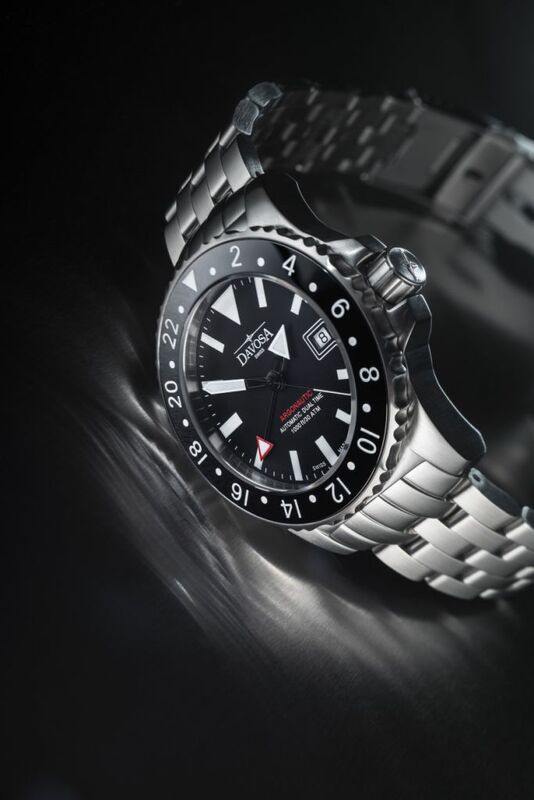 Like all Argonautic models, the Dual Time is exceptionally robust with all the typical features of this range: a resilient ceramic bezel, screwed helium escape valve and water resistance to 300 metres. 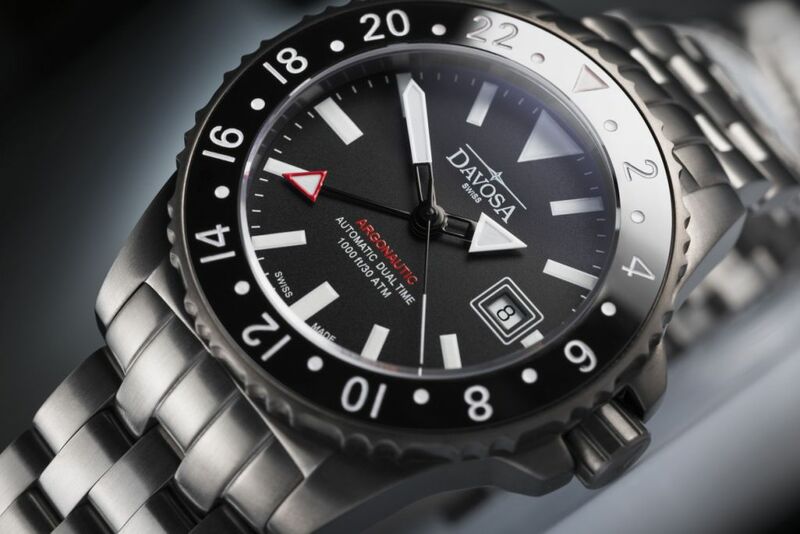 The DAVOSA Argonautic Dual Time will retail in stainless steel for 998 Euros and with a dark GUN coating for 1,098 Euros. To make reading the second time easier, the second hour hand usually has a different length and appearance – in the case of the Argonautic Dual Time, the second hour hand is longer and tipped with a red arrow. The watch’s four hands are driven by a Swiss automatic ETA 2893 movement. Offering tried and tested quality, this movement has been used in mechanical watches for frequent fliers and globetrotters since the early 1990s – and can now be found in the Argonautic Dual Time.